This infill site is a rare land opportunity in the heart of midtown Fort Collins. 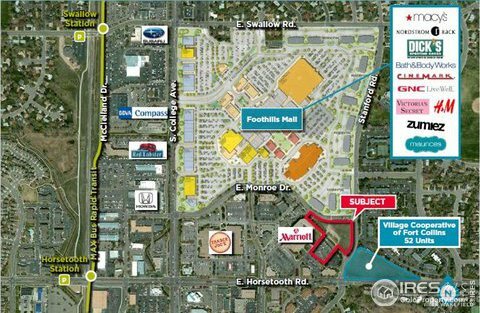 This property consists of 3.79 acres with approximately one acre of existing paved parking adjacent to Foothills Mall, the Marriott, and is within walking distance to MAX Transit and a variety of other amenities. Commercial zoning allows for an array of uses. All utilities have been extended to the site. Listing courtesy of Cushman Wakefield.